Nothing to see here everyone, just Twilight being rather majestic and regal at the moment. News time my friends! Get it all after the break! syzygy. has graced us with some super awesome tunes and this is certainly one of the heaviest of those! 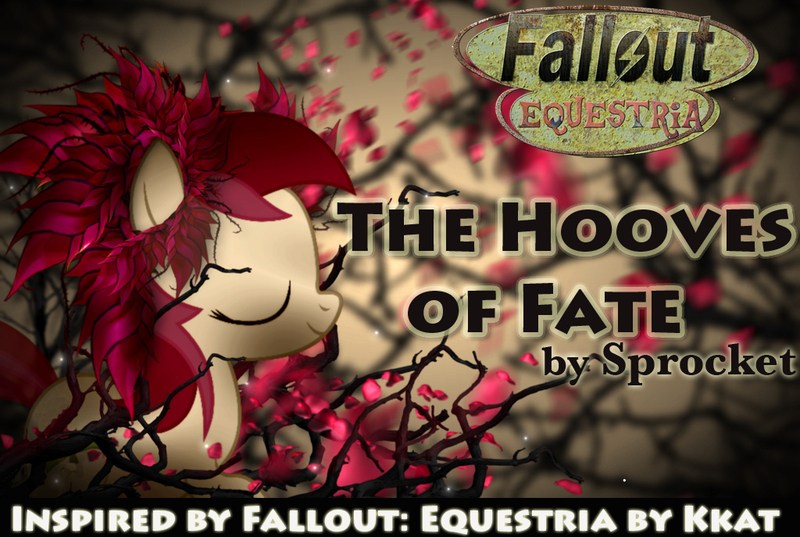 Featuring some terrific use of voice samples from Nightmare Moon, including that trademark evil laughter, a dark foreboding build transitions into some powerful, clean and energetic contemporary dubstep sounds. Check it out below for some heavy hitting stuff! Twilight bringin on some feels. We have some really well done lip sync in this one, along with a host of other neat edits. Head on down below the break for some Back to You! 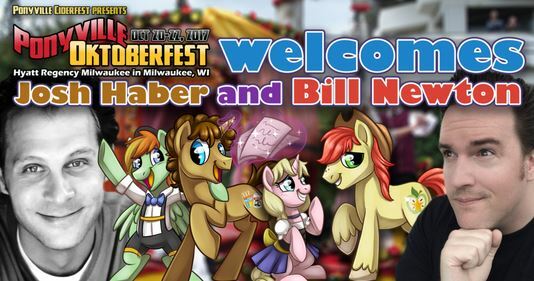 Ponyville Ciderfest has announced Josh Haber and Bill Newton for their convention this year. If you want to meet them, head on down below the break for the details! 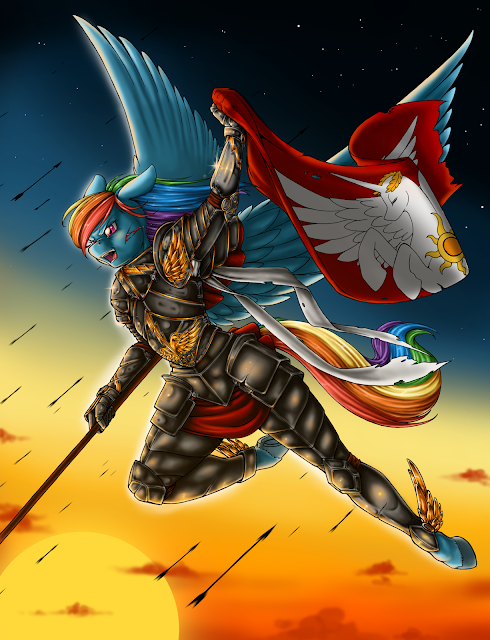 Epic Rainbow Dash time my friends! While our ponies are good at bringing the cute they are just as good at bringing the awesome. As we mentioned earlier in the week there was going to be a special on Discovery Family detailing the making of the MLP Movie! Well, that special has aired and we have a link for those of you interested in seeing the special for yourselves. A big thanks to Spazz for sending it in and uploading it. 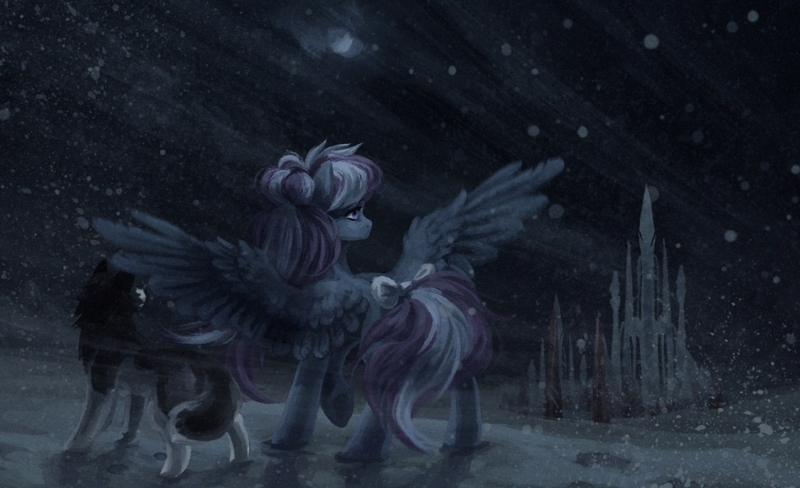 For all of our other MLP Movie news (and there has been a lot of it lately) check here. 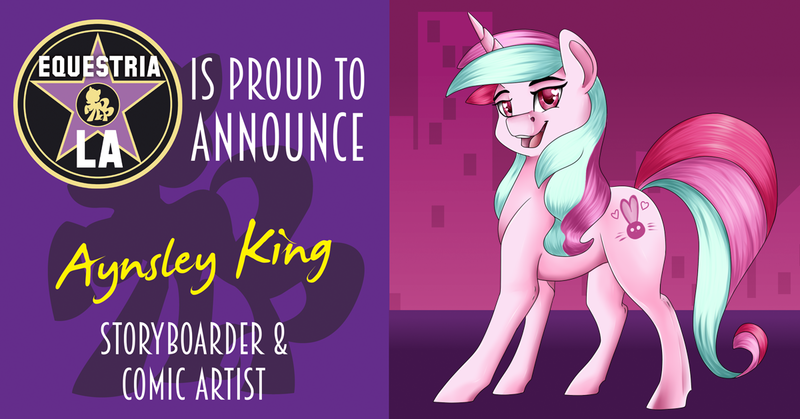 World Wide MLP Movie News Part 3 - Ticket Sales, Events, and More! With the movie less than a week away in the USA and already airing all over the place tomorrow for several countries, we probably won't get too much more flooding of minor news. This compilation does cover some interesting things for anyone looking to hit up Toys R' Us, Mexico, or buy tickets in general though. Head on down below for more! Shadow Shard is back and things are getting even more tense! Poor Spike, where is this all going to end up for you little buddy? Been a while since we had one of these posts. 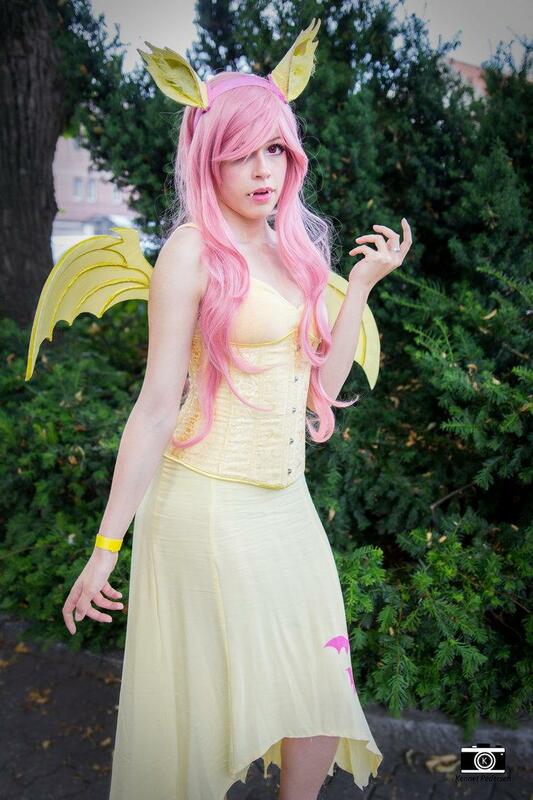 You all should take more pics of cosplays at conventions! Below the break, tons of cosplay. Go get it! Egypt is a silly country. This one always reminds me of that plant champion from League of Legends. 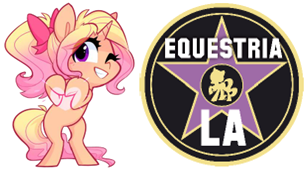 EQLA is quickly approaching and even though the convention has announced their final curtain call the guests are still rolling in to make this convention a blast! This time around they have Aynsley King to announce, a storyboarder for all things pony and a comic artist! Find out all about her after the break. It is with a heavy heart Equestria Daily must report this year's Equestria LA—Southern California's Premiere My Little Pony Fan Convention—will be its last. 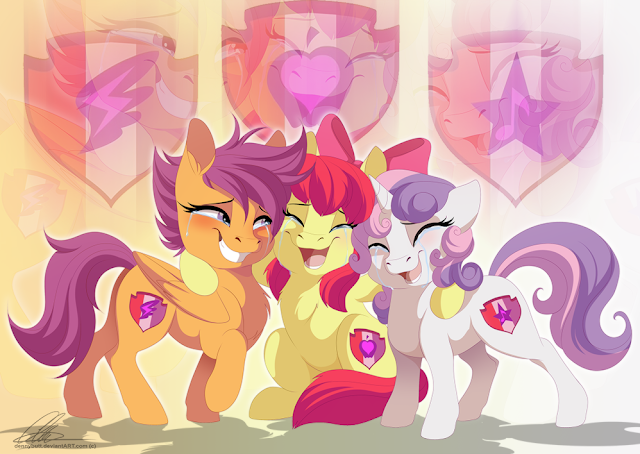 Though like with any good final curtain call, Equestria LA is going to go out with one heck of a bang! 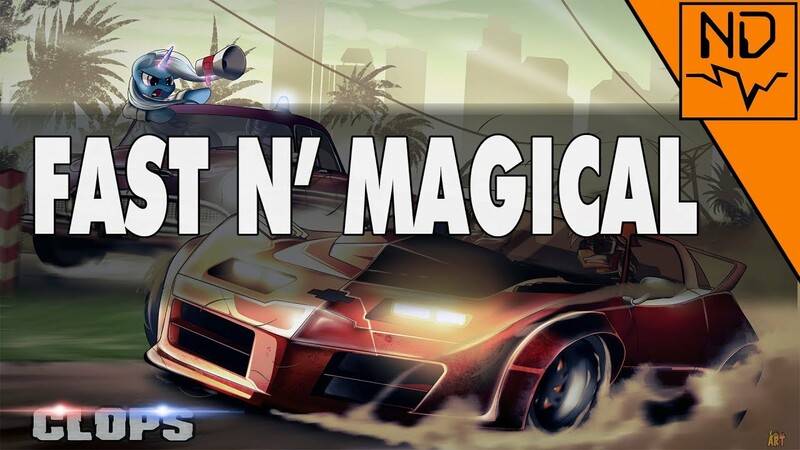 With nearly 50 combined Community Guests and VIP guests (including some from the LA Wildlife Learning Center), boat loads of unique panels and special events, and memories to be made at a world class resort in in The City of Angles, this is one party which will be talked about for years to come! EQLA has release an official statement detailing the reasons behind this decision, which can be found after the break. Now let's go an make this convention one to be remembered! 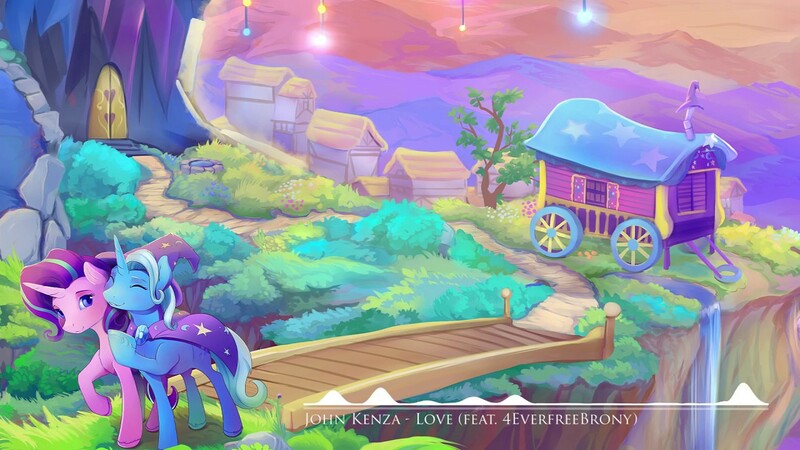 John Kenza's productions continue to increase in quality, and how better to augment that than for him to get together with 4EverfreeBrony, one of the best vocalists in the fandom. Together they've put together a spellbinding tune that sounds thoroughly professional, catchy and smooth throughout. Check it out below for a really awesome experience! The season is starting to wind down my friends, but while it lasts we still have quite a few weeks of pony to enjoy each weekend! The last episode before the big movie release is Marks and Recreation, a CMC episode that is looking to be quite interesting. 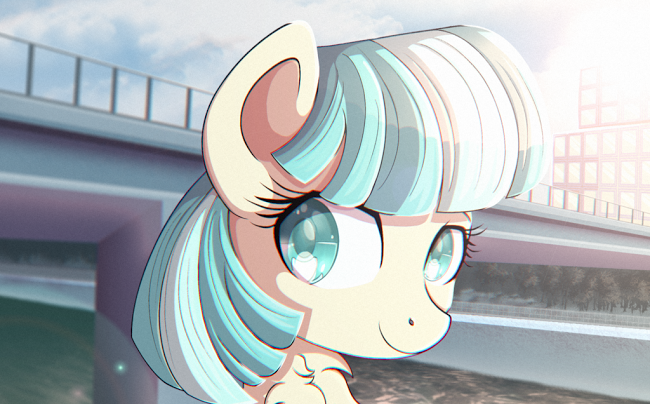 We are building a meetup list for the MLP movie! 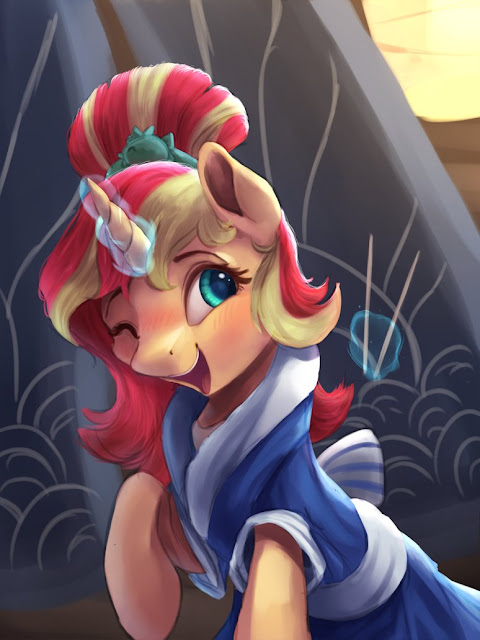 Stop teasing me with sushi, Sunset! It's not fair that I can't get any where I live. Time for an early MD my friends thanks to the new episode coming out! Get to chatting! Pinkie's got a special guest to wish everyone goodnight. Click on that Wonderbolt for the full comic! The music that is a bonus has arrived! I've run out of things to say up here. Go get a bunch of bonus music below. Nicolas Dominique has taken a break from his trance and chillout releases to bring this awesome synthwave piece to our ears. Inspired by the artwork shown, it definitely fits the aesthetic and there's terrific use of arpeggiation and pads throughout the track. This sort of thing suits his style well and the energy of the track is pretty nice. Check it out below! Oh boy... Nothing like getting some unknown disease and letting it wreak havoc on you. Facebook now has official fully animated MLP stickers for your commenting shenanigans. When people hover over them in your posts, their animations happen automatically. To download them, head on over here and just click "free". Thanks to Andrew, Vjex, and everyone else for sending them. Box Office Mojo has listings up for upcoming theater releases over the next few months, or more specifically how many theaters they will be in. Oddly enough, the My Little Pony movie looks to be making a somewhat smaller showing compared to other movies by both Lions Gate and other distribution companies. Overall, it will be opening at 2,500 locations around the USA, which is much less than the 3,900+ planned for Blade Runner dropping on the same day. For comparison, Power Rangers, also released by Lions Gate, showed 3,693 theaters on opening day. Ninjago had 4000. 2,500 isn't bad though. Bladerunner has a much larger demographic, so it's not a huge surprise that it would get a stronger opening day. Hopefully our 2,500 can still fill up! Go see the movie in theaters if you live here in the USA! And elsewhere too of course. Thanks to Jordan and Felix for the heads up. 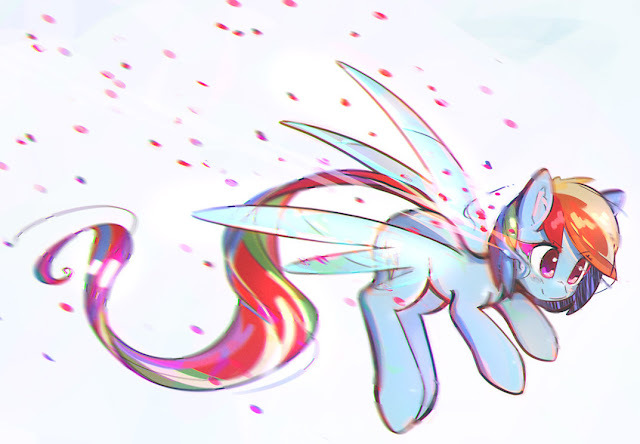 Our monthly Appleajck quota has not yet been met, so have her as a header. And get a bunch of pone below. More New Scenes From the My Little Pony Movie in Two TV Spots: "Pony Fever" and "Epic Event"
The My Little Pony Movie trailers! They are nonstop! I'm surprised they didn't spread these a bit more, but I'm not complaining. We have another trailer coming from the TODAY show today, complete with a bunch of extra and extended clips, and even a Fluttershy line. Update: looks like there are two! 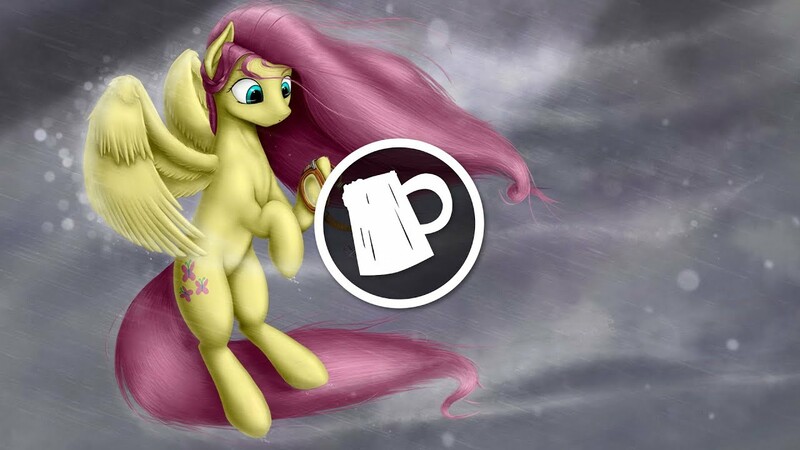 iblank2apples have been releasing some gorgeous supersaw-filled tunes lately and that isn't stopping here with an emotionally charged piece focusing on the events of Hurricane Fluttershy. The use of voice samples from the episode is perfectly timed, and the switch up to a heavier electro drop towards the end is a satisfying conclusion for the track. This piece is a part of the new [email protected] Anthology album, for which a live release is going on right now over at PonyvilleFM! Otherwise, check out the heavy vibes below. 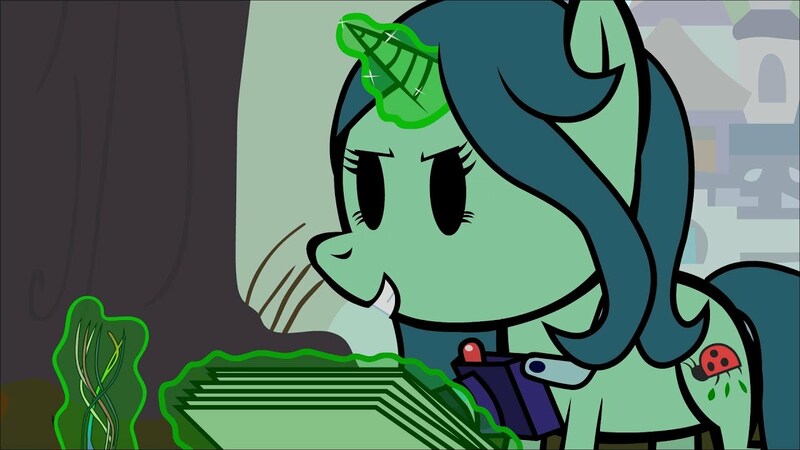 Yoshi Greenwater has taken the season 8 animatic released back during HASCON and transformed it into his usual Paper Mario style. 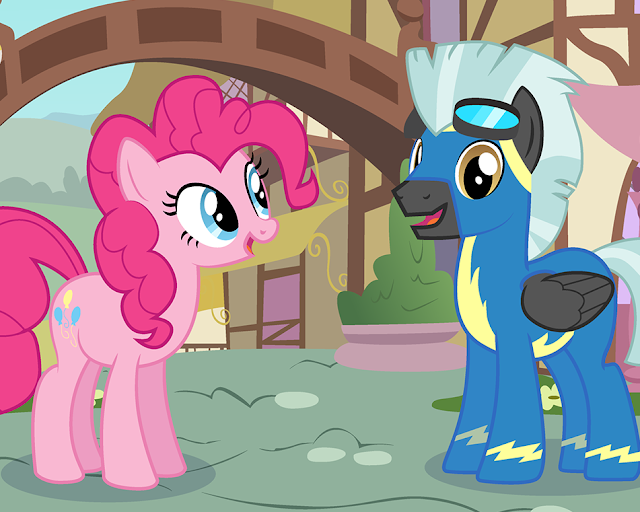 The My Little Pony Movie has a special airing on Saturday at 7:00 PM as we announced over here. 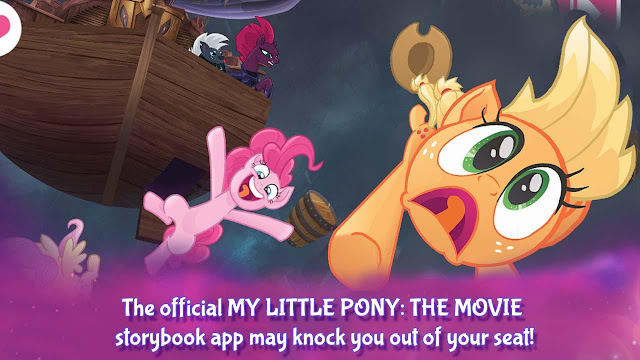 Discovery Family has dropped a promo showing off a few scenes from it, along with an Applejack clip from the movie we haven't seen yet. 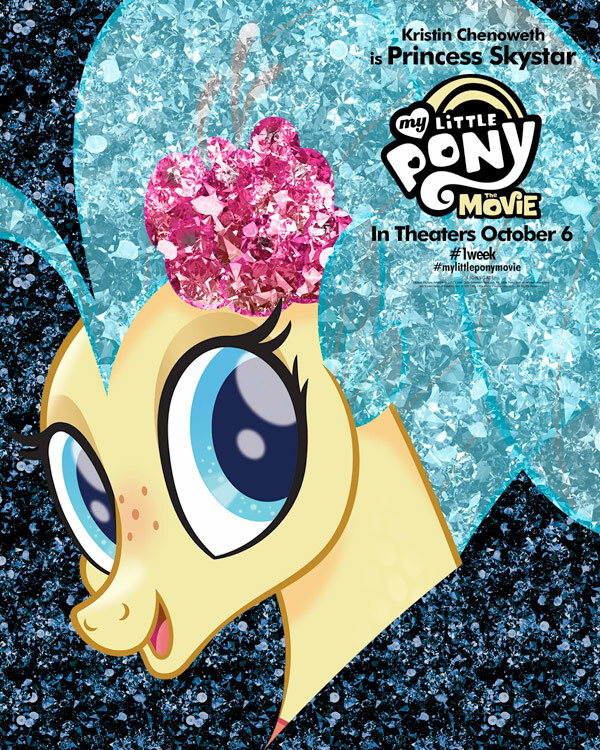 Another set of My Little Pony Movie posters has been released by the official Twitter page. This set includes Princess Skystar, Rarity, Sia, Tempest, Rainbow, and Pinkie in a more glittery style. Head on down below the break for the other five! And if you missed the previous sets, hit up our poster tag. Another Equestria Girls Short has been officially listed over on Hasbro's Youtube channel. How does Principal Celestia handle stress? Head on down below to watch it. And if you missed previous ones, find them all at our shorts section. 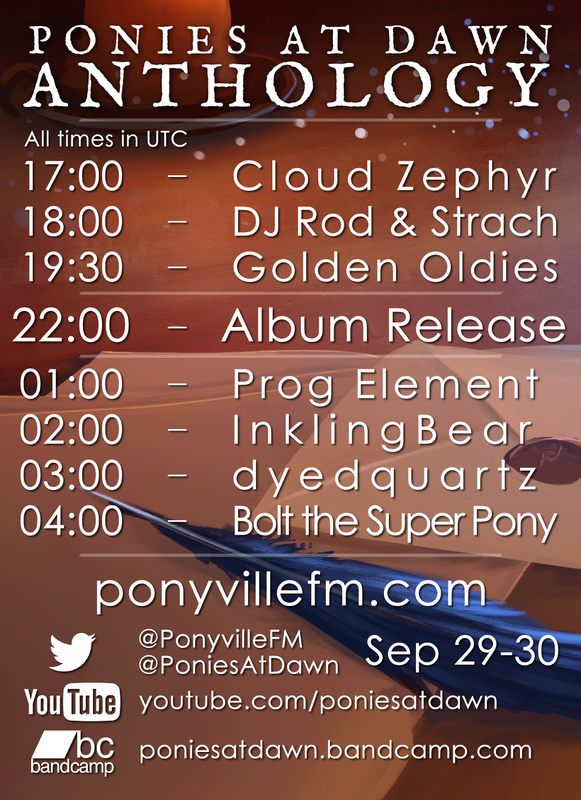 Ponies At Dawn's new mega compilation album, Anthology, is releasing later today! 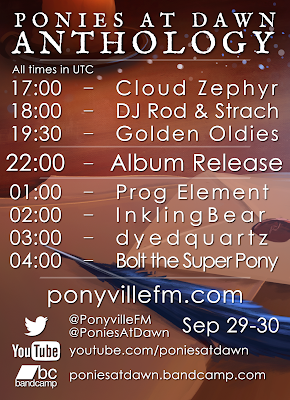 To celebrate, PonyvilleFM are throwing a big release party that will culminate in a stream of all the new songs from the album, hosted by PonyvilleFM regular Lycan Dese Beats. There's a countdown timer to the main album release here, but you can come along earlier for some DJ sets, and some golden oldies that will be available on CDs as part of the album. You can check out the album on bandcamp here, and a teaser of all the songs below, but otherwise make sure to tune in for the release! I'm pretty sure they've decided to go ahead and just ignore trying to hide anything at all about this movie before release. We already have the comic adaptation, and now Playdate Digital has released a full app version of the movie online. It's only 30 pages, so obviously it won't have absolutely everything about the movie, but it does cover the story. Someone actually recorded a playthrough and popped it up on Youtube. Get that and screenshots below. You might have reformed him, Thorax, but it's going to take a little bit of time before your bro gets to be as warmhearted as you are. Morning my friends! Chat time! 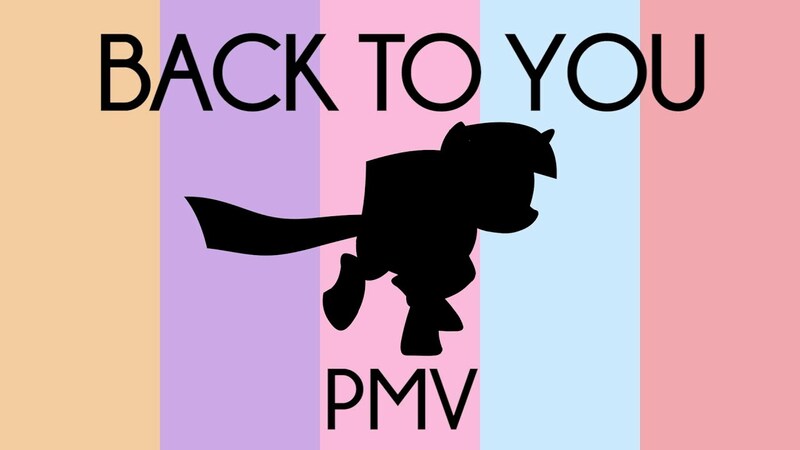 The flashy side of the PMV fandom has returned with a bunch of PMVS filled to the brim with super fast scene shifting, crazy editing, and high pitched nightcore versions of songs. Head on down below the break for all of them. A new track from Filly In The Box is always certain to come with two things - awesome pony vocal chops and some heavy bass design. 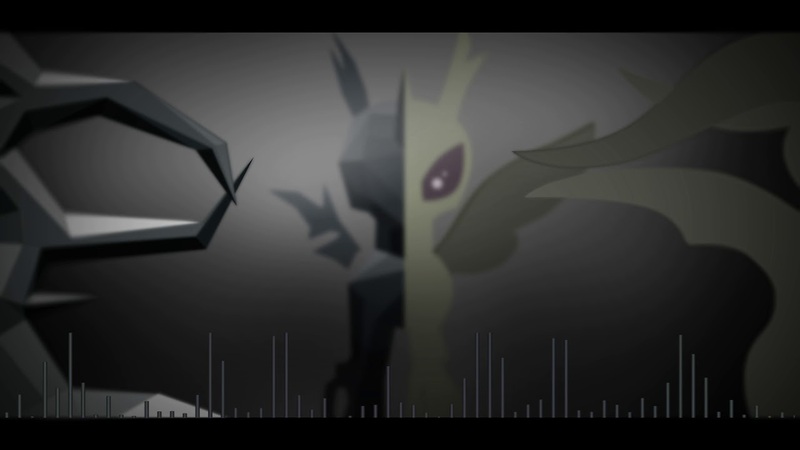 Both of those are in strong presence here, as part of a track about the two sides to a Changeling. The melodies throughout the track are also pretty interesting and hold it up outside the heavier parts. Check it out below! 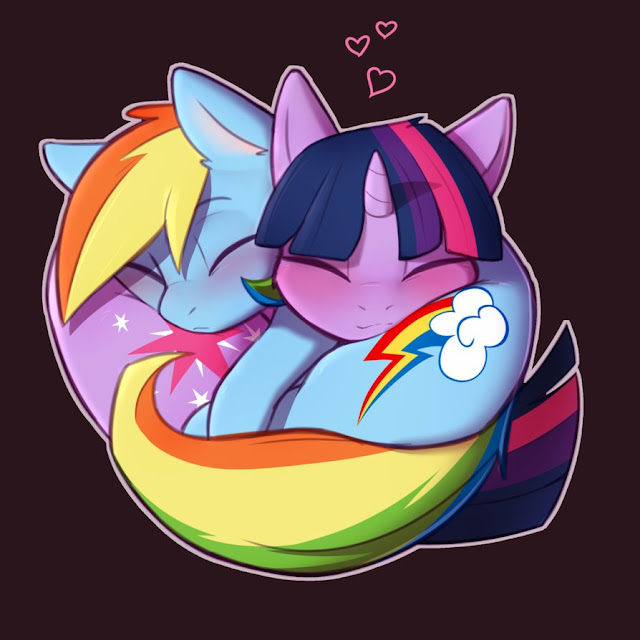 Pony snuggles are best snuggles! Snuggle a pony today! Evening my friends, it is time to chat. Dubbin more comics. 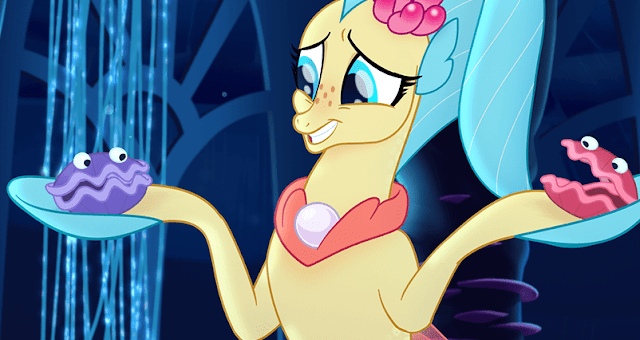 Get six videos dedicated to voiced equines doing comedic things below! 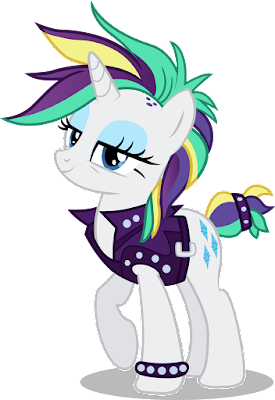 Poll Results: Have You Seen Advertising of the MLP Movie At Theaters in the Last Month? The results of the last poll are in! Seems like not a lot of you hit theaters much. I guess I'm not alone then. I think I go once or twice a year max now days. A $100 sound bar and flat screen are good enough for me! 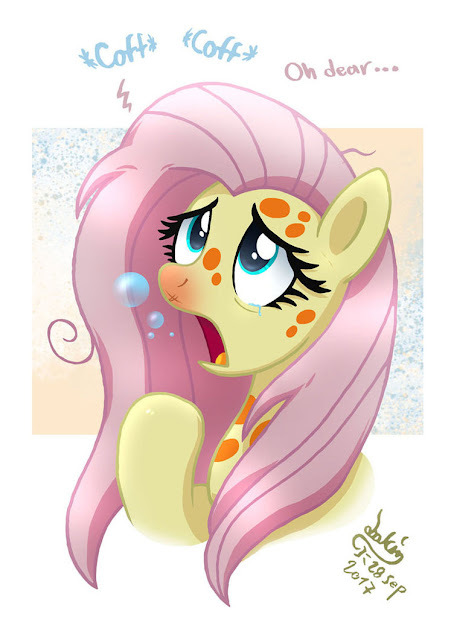 Some sad news out of the pony community tonight everyone. As you all know, pony is broadcast throughout the world, whether it's the main series or Equestria Girls. Recently we have heard of the passing of one of those amazing foreign VAs that bring these characters to life: Hiromi Hayakawa. VAing as the voice of Sonata she was recently expecting but unfortunately suffered a hemorrhage during her pregnancy, killing her and her child. We at EqD wish her family the warmest of wishes during this tragic time and I would hope the rest of community, no matter where you are from, would do the same. Rest in peace, Hiromi, and thanks for your contributions to the history of this magical series. Red eyes or magenta eyes? What is your canon vinyl? Updating every story. Go get a bunch below, cause everyone decided to release at once! Huzzah! ertrii's gorgeously chill vibes are back again. With a groovy intro making way to some lovely arps, the pads in the background start to come to the fore throughout the track, with some lovely feels that definitely give the impression of gently falling through the sky. Check it out below for a mesmerising experience! 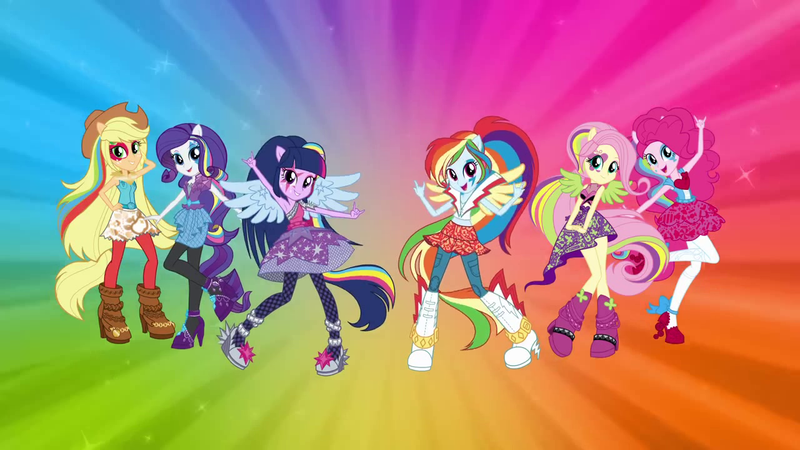 Back in August, we announced the listing of a Netflix series for Equestria Girls. Our guess is that it's a compilation of summer shorts and specials, but it could be something else entirely considering how hard Hasbro is pushing their online streaming presence. Note: I add the "Possibly" in the title, as this could be wrong. It looks like there aren't many others reporting on it. It could even be an Australian only release date, as the news site is Australian. We are waiting on Netflix to confirm it. Thanks to Ringoffire for the heads up. How about some con mascots? These two are looking ridiculously good thanks to the incredible talents of Nazegoreng as always. The movie promotion flood continues, with actress Kristin Chenoweth scheduled to appear on "The View" tomorrow to talk all about her role as Princess Skystar. This happens at 8:00 AM PST, and can be watched over on Youtube apparently. Thanks to Lina for the heads up. Great Spike, you just had to make things a bit awkward, huh? The rock musicians of the fandom have been having a great time getting inspiration from Pear Butter, and that continues with Crusader! releasing a gorgeous soft acoustic piece that puts another spin on the well-trodden love story. His vocals are lovely, and the guitar works nicely in combination. Check it out below! Top tier mane. I need more of this. We have a bunch of people reviewing said mane, along with the episode it appeared in. Get them below, completely unfiltered for maximum testing of how well that does and stuff. Oh no Rainbow! You're going so fast that you're slowly disintegrating! Slow down girl! Wow we haven't had one of these since August. 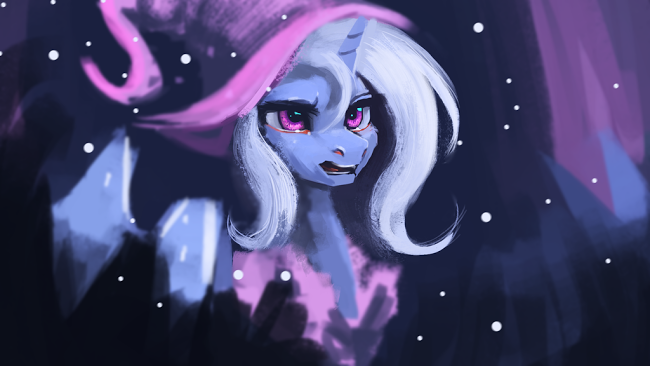 I blame... Trixie. Yes Triixe. 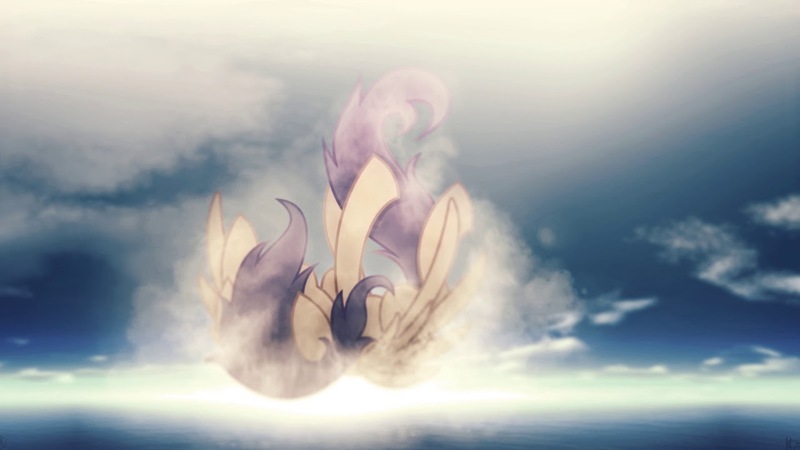 Get low effect PMV below! 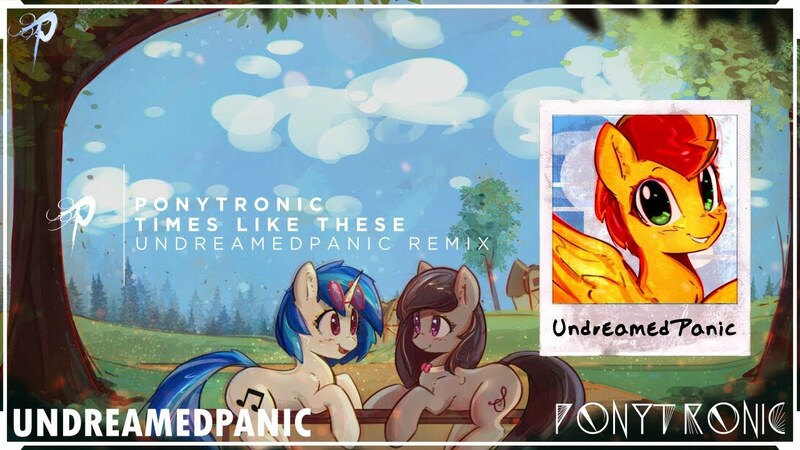 A couple of awesome new chilled out remixes of Ponytronic's popular Times Like These, both of them are a part of the newly released remix EP featuring a bunch of different artists giving their interpretation. 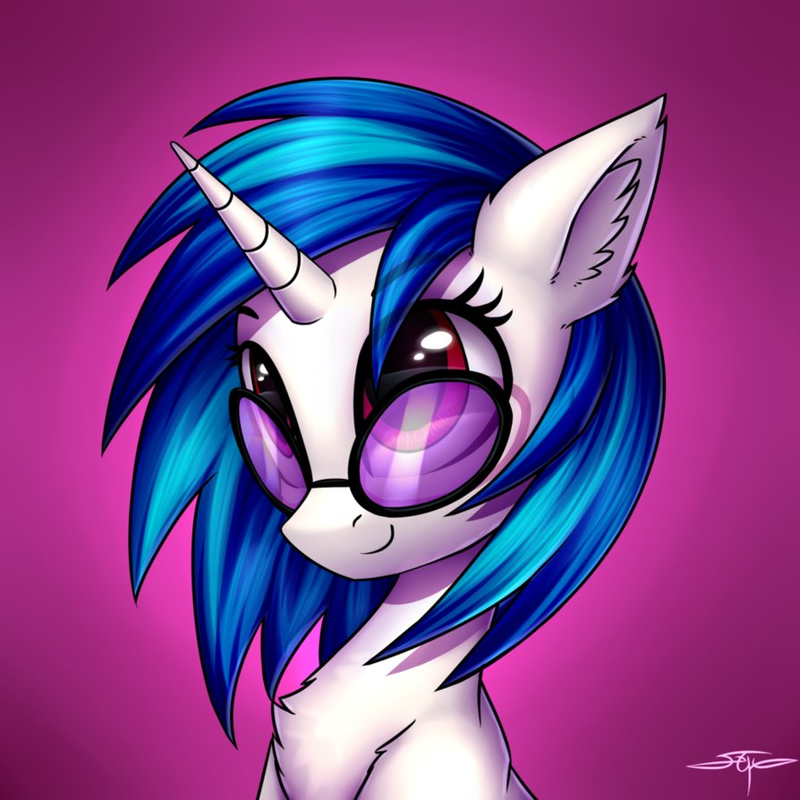 Metapony's remix focuses on some lovely piano usage, as well as some drum & bass elements towards the end too. Panic's remix is also very chill, with a lo-fi hip hop vibe to the track. Check them both out below!